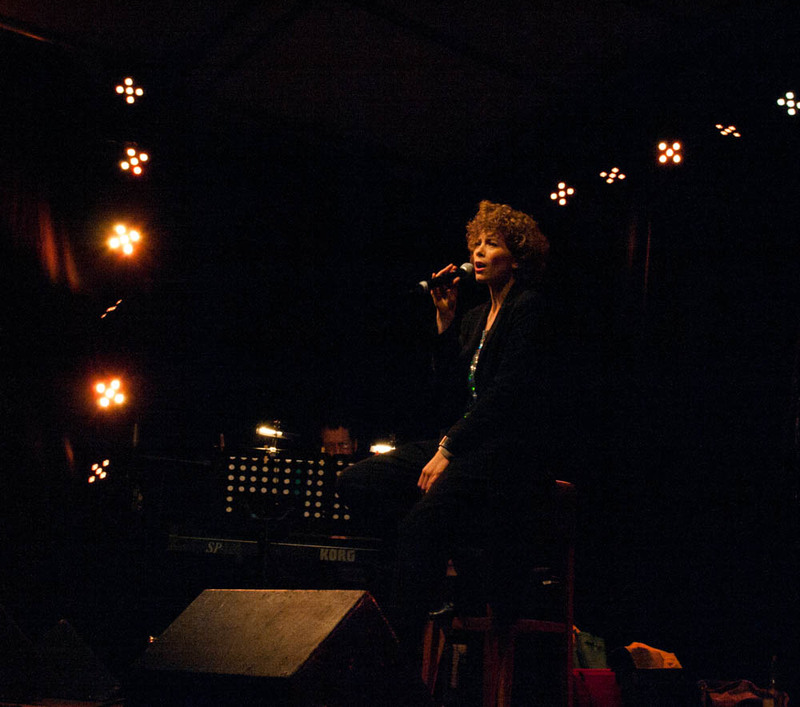 Cabaret in Mainz during the Johannisfest. 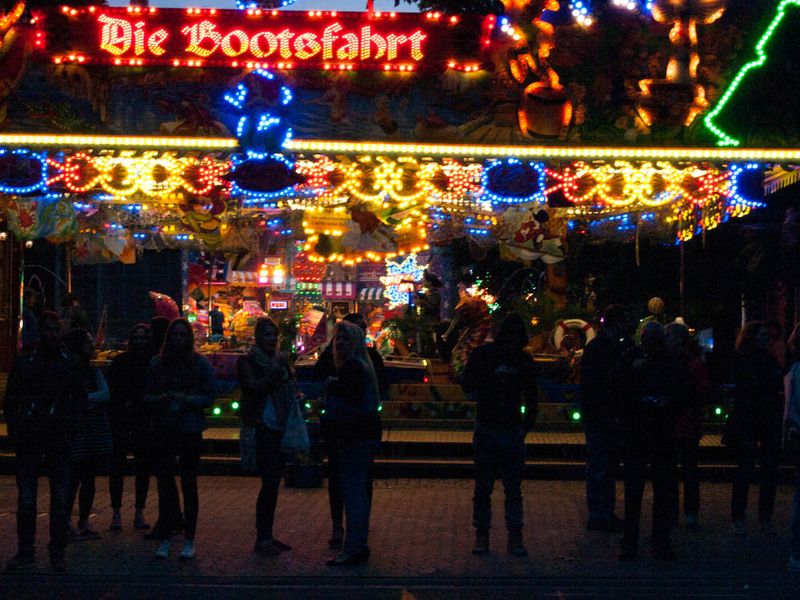 June 20, 2015 Summer is the time of festivals in Germany. 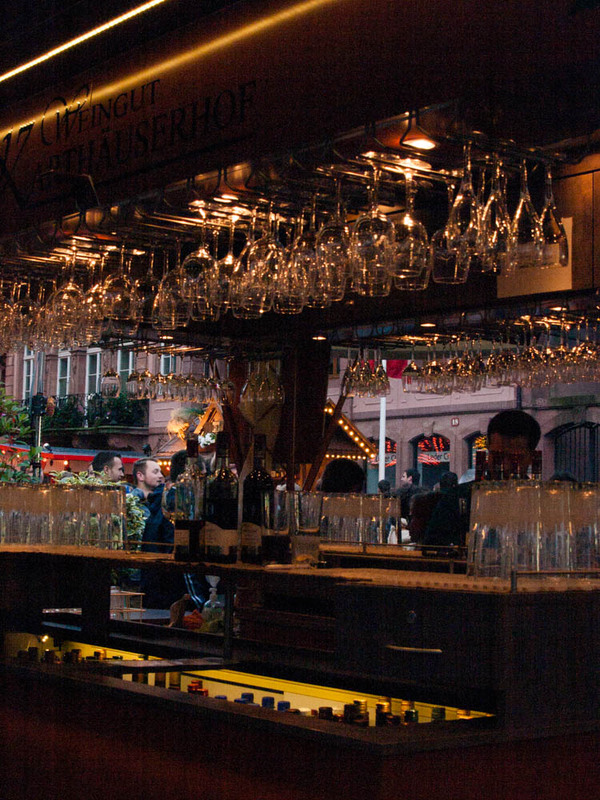 It seems like every town has one, or several, from the tiniest Dorf to the largest city–a weekend of live music and dancing and wine (or beer, depending on which part of Germany you are in) and all sorts of unhealthy-but-delicious German culinary specialties. 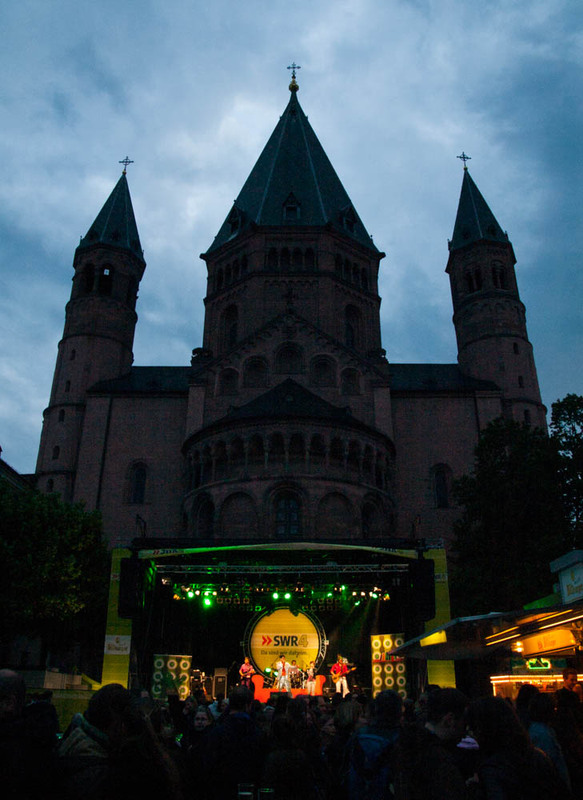 In Mainz, there’s the Johannisnacht festival at the end of June. Things are a little different in Mainz than in the rest of Germany, I think–a bit more intensive, all-encompasing, more Dionysian perhaps. The Fastnacht spirit isn’t just limited to a couple weeks in February. In Würzburg, for instance, the yearly Kiliani Festival takes place outside of town, on neat and properly contained fairgrounds. In Mainz, the Johannisnacht takes up half the dang town, with the bus schedule screwed up for days and the entire Inner City full of stages and lights and stands selling cocktails and bratwurst. And the Meenzers know how to throw a party–some 250,000 people attend the festival over the course of four days, despite the pouring rain and semi-arctic temperatures this year. 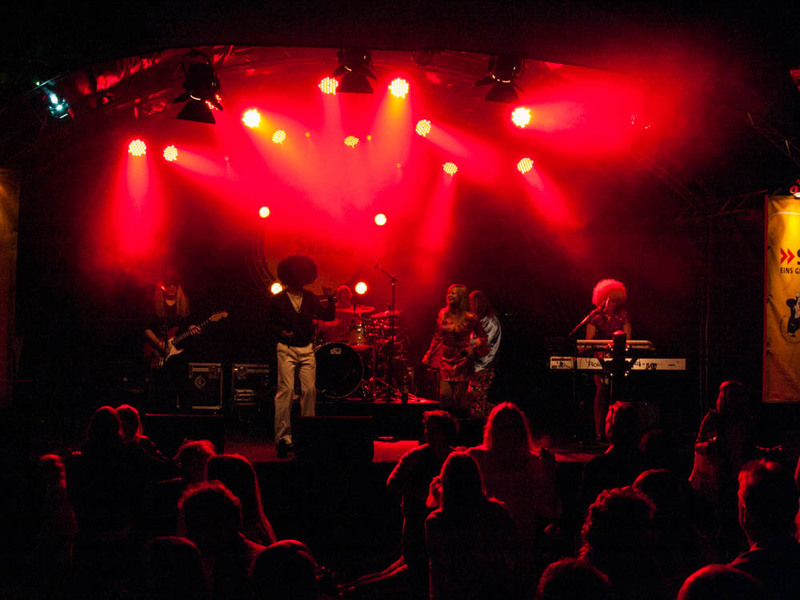 Music plays an enormous role at the summer festivals. 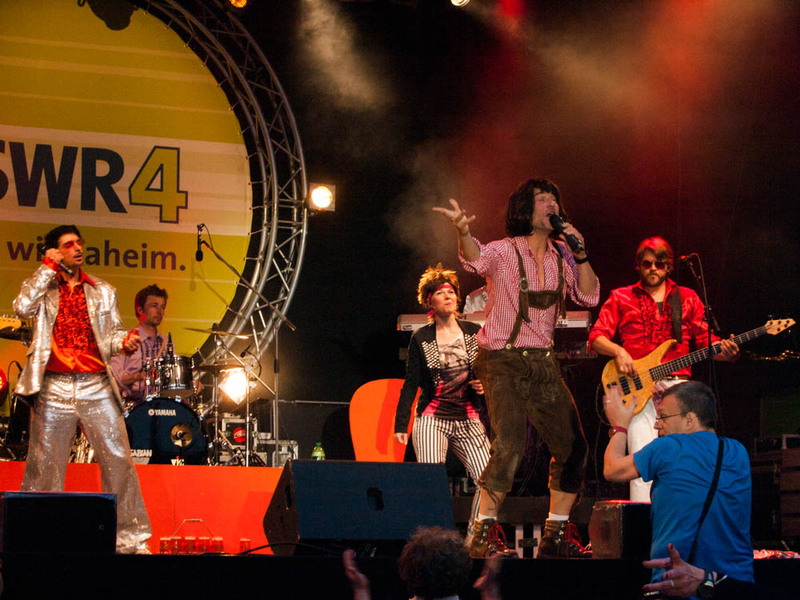 At the Mainzer Johannisnacht, there are four main stages and dozens of concerts over the course of a long weekend–from oldies and brass band to rap and hip-hop, and everything in between. And everyone knows all the words, it seems. 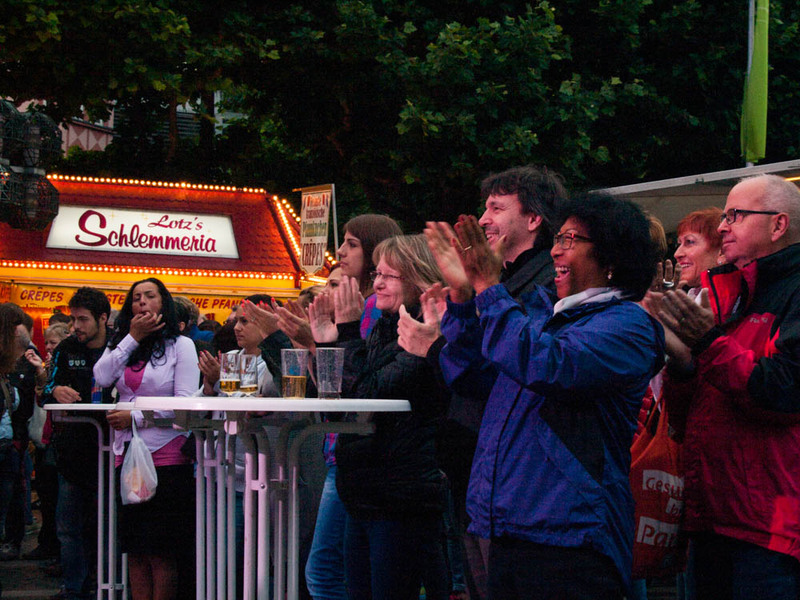 During the Johannisnacht, one has the feeling that half of Mainz is standing in front of the stage, young and old alike, singing and crying and smoking and drinking beer and dancing in that awkward-but-infectious way that only Germans can. I suppose part of me will always be the snobby operagoer who drinks champagne in the intermission and can talk for hours about a particular interpretation of Mahler’s 2nd. But every once in a while, you just need to link arms with a bunch of crazy Meenzers singing “Traum von Amsterdam” and let it all out. And anyway, you can’t dance at the opera. This guy managed to wear lederhosen, drink beer, twerk, and sing Schlager all at the same time. That takes skill, folks. Cabaret. In some past life, I’m pretty much certain I was a Kabarettistin–coattails and lipstick, glass of red wine in one hand and cigarette in the other. This entry was tagged Cabaret, Carnival, concert, DAAD, dance, Deutschland, Dionysus, fair, Fastnacht, festival, German culture, Germany, Johannisnacht, Mainz, music, party, Schlager, summer. Bookmark the permalink. Immer wieder nett. Die Johannisnacht ist dem größten Sohn der Stadt gewidmet, Johannes Gutenberg; dem Erfinder der Buchdruckkunst. Klar, dass es dann nicht beim Schunkeln und Bratwurstessen bleiben darf.